If you are interested in volunteer opportunities please contact : Dave McKee to complete an application or stop by BIMA (507 N Main St, belton SC)..
We have A Convenient clothing drop box, located next to our building. We accept clothing, household linens and small items. We cannot accept appliances and furniture at this time. Clothes should be clean and in good repair. We accept canned and dry goods. We also except, frozen meat and chicken. PLEASE CALL US BEFORE BRINGING FROZEN FOOD (864-338-7797). --All donations are tax deductible. --Your donation will be receipted and acknowledged to you. ​-- 100% of your donation goes to helping others. click here to donate thru Paypal. By mail: Please make checks payable to BIMA. 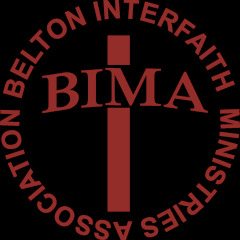 We are in need of food for the BIMA food pantry. We are receiving responses and want to thank all those who have brought in food items. We also want to recognize churches, businesses, and civic organizations who make BIG efforts to provide food to be distributed to those who are in need. We continue daily to fight hunger. Listed are some of these groups who have supported the effort during 2016. Many others give anonymously. BUSINESSES : BILO of Honea Path, Dollar General of Belton, Family Dollar of Belton, Little General of Belton. CHURCHES: Belton Presbyterian, Bethany Baptist, Broadway Lake Baptist, Cedar Grove Baptist, Cedar Shoals Baptist, Dorchester Baptist, Eastview Baptist, Eureka Baptist, First Baptist(Belton), Latimer Memorial Methodist, Neal Creek Baptist, New Jerusalem Baptist, Pleasant View Wesleyan, Second Baptist (Belton), Shady Grove Baptist. CIVIC ORGANIZATIONS: Belton Elementary, Belton Fire Department, Cub Scout Pack 20, Letter Carriers (Postal workers), Marshall Primary.